Ada soalan mengenai Peermont Walmont at Mmabatho Palms Mafikeng? Dengan lokasi mudah di Mafikeng, Peermont Walmont at Mmabatho Palms Mafikeng adalah tempat yang hebat untuk menjelajahi bandar yang menarik ini. Hotel ini terletak dari pusat bandar dan menyediakan akses kepada kemudahan bandar yang penting. Bagi anda yang ingin pergi agak jauh, Muzium Mafikeng, Mafikeng Game Reserve, Kelab Golf Leopard Park merupakan beberapa daya tarikan untuk pelawat. Di Peermont Walmont at Mmabatho Palms Mafikeng, segala usaha dilakukan untuk membuatkan tetamu berasa selesa. Oleh yang demikian, penginapan ini menyediakan perkhidmatan dan kemudahan yang terbaik. Tetamu boleh menikmati kemudahan seperti khidmat bilik 24 jam, Wi-Fi percuma semua bilik, pengemasan harian, mesra kerusi roda, kasino. Tetamu boleh memilih dari 150 bilik, semuanya yang akan memberikan suasana ketenangan dan keharmonian. Padang golf mini, padang golf (di lokasi), kolam renang terbuka, spa, taman permainan kanak-kanak di hotel merupakan tempat yang ideal untuk anda relaks dan tenangkan diri selepas hari yang sibuk. Peermont Walmont at Mmabatho Palms Mafikeng merupakan pilihan yang bijak bagi pelancong ke Mafikeng, menawarkan penginapan yang santai dan mudah setiap kali. Cheerful friendly check in (a bit slow though as only one person on duty) security chain on door of first room allocated was broken but I was moved and the replacement was perfect. Fridge, tea and coffee, comfy bed, plenty of room and bathroom with bathtub. Quiet despite conference in session. Plenty of available bed chairs around pool which was cleaned daily. Food great and well priced - breakfast buffet exceptional with omelette chef. Thoroughly recommended. I had a great stay and staff were friendly except one front staff member (Mokgomotsi). I only went to reception to ask for tea makings since i used mine all and the answer was you have to wait for tomorrow until they are refilled. beside that, thanks to Tryphina, the lady who was cleaning, Omphile in the dinning hall. Khumo, Tidimallo, Ednah in front desk office who assisted me in checking in for the entire period excellent service. Im very glad that we had chose this hotel. We did not expect such class service and the rooms are pretty nice. The staff were well trained and very friendly and accomadating and this added to the calm and relaxing weekend we intended to have. Thank you. The resturant is beautiful. The view was nice and it was Clean. Check in was unfriendly, not very welcoming. Which should have been the first sign. The restaurant service was even worse! We were a group of 4 who waited over thirty minutes for food in an empty restaurant. The 4th meal didn't come at all! We couldn't add drinks ordered at the bar of the restaurant to our table tab. I am never going back to this establishment! MY initail room was 011, unpacked then noticed aircon and safe does not work. repacked (now is gone over an hour) and i have a meeting in one of the hospitals. Missed zhe meeting and i was moved to room 301. Friday,24 november 2017 found 2 very large cockraches in the bidet. filthy and disgusting, how does one expect to have breakfeast or eat at the hotel. I always stay at this great hotel, but it desperately needs to be restored to its former glory! The buildings and facilities are great, but unfortunately still stuck in the 1980s - they need modernising and refurbishment. 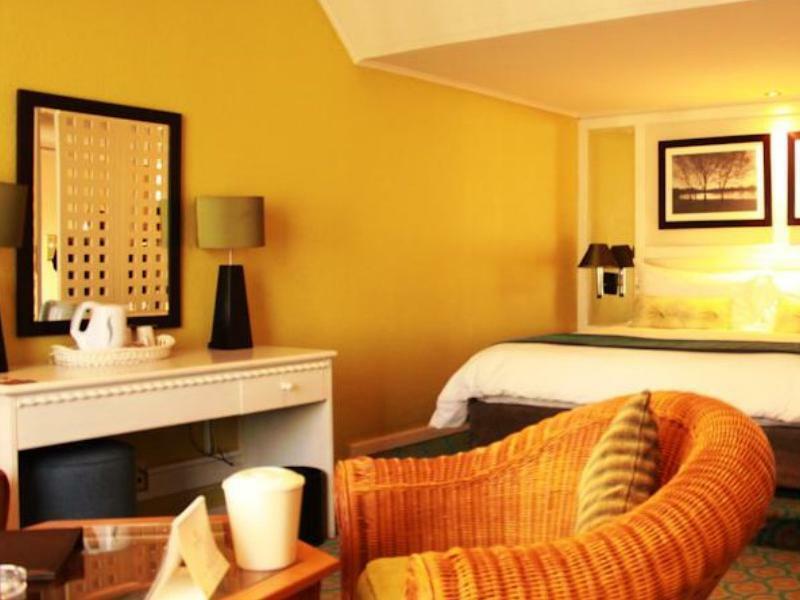 The hotel still enjoys prestige locally and from afar, and enjoys little to no immediate competition (the nearby Protea Hotel is small, overnight-traveller orientated, and is far more expensive!). The Palms management needs forward-looking vision to invest money into refurbishing and modernising the hotel to maintain its greatness for another 20 years. Everything needs to be revamped, the interior and exterior from furniture to rooms, lounge/restaurant/casino, outdoor areas, even things like the plumbing & zircon systems! If a new big and modern hotel were to open up in the city, that would spell an instantaneous demise of the once great Mmabatho Palms! Save this great hotel...! Overall we were pretty disappointed with our stay. Here is a list of things we did not like: 1. First room one of our groups checked in needed to be changed because the shower wasn't working. 2. Reception did not want to provide an extra blanket for one of the guests. 3. Requested some sugar and a tea cup from reception. We were sent back to our room and told to call a number. We made the request with the person that answered the phone. The sugar and tea cup never arrived. My stay was pleasant but the reception was not good. , I was informed that there is room available for me, as the hotel is fully booked. We waited for a while until the matter was sorted, then we had to wait again for the porter to assist us with our luggage. The staff generally lack professionalism, and take their time to assist guests. When we went for breakfast the tables were not set up again after guests finished eating, and when asked to set up the table they took forever to do so. There were no napkins on our table. The toilet'd flushing mechanism did not function well. I doubt if I will go back there again.